*For those avoiding soy, you can replace tamari with coconut aminos and white miso with tahini. 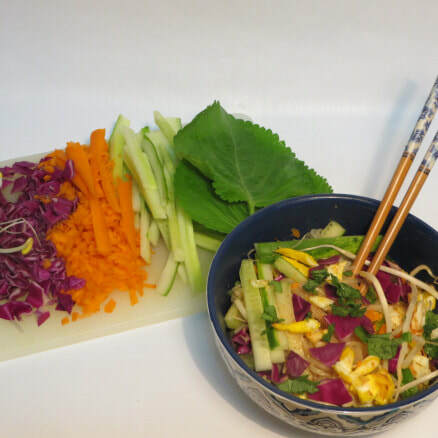 This recipe features konjac noodles, made from the konjac root. Konjac root is a natural source of glucomannan, a prebiotic fiber that nurtures a healthy gut microbiome. 1 egg or 1/4 cup chopped organic tofu. Or, if you prefer or you if are following the AIP eating plan (Autoimmune Paleo) you can use chopped grilled chicken or other meat or fish. 1. For noodles: First rinse the konjac noodles with water to freshen them and decrease their unique smell. Bring a medium pot of salted water to a boil. Add the noodles to the boiling water and cook for 10 minutes. 2. While the noodles are boiling, cook the egg to your preference - fried over easy is lovely. Or, dice the tofu or meat into bite-sized pieces. 3. Strain the noodles and stir in the egg, tofu or meat, and veggies. 4. Make the sauce: Stir all of the sauce ingredients together in a small glass or ceramic bowl and microwave on high for 1 minute. Drizzle sauce over the noodles and veggies. Toss and enjoy! 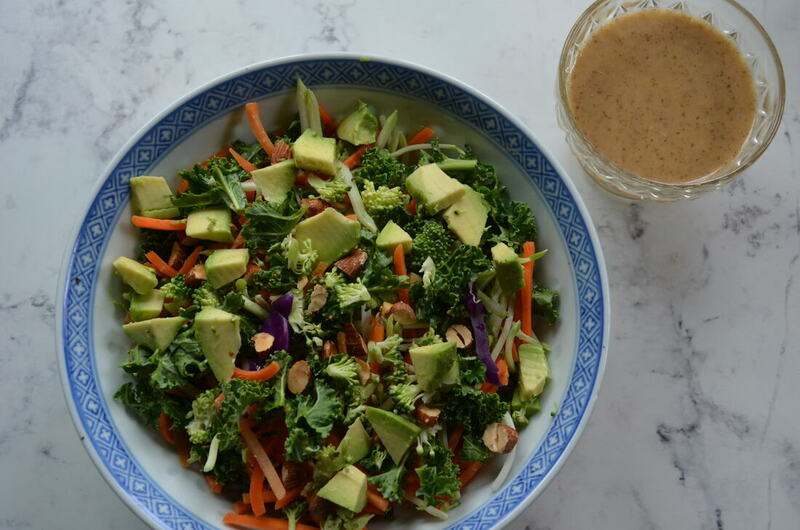 *If not following the AIP diet, you can add crushed nuts for some extra texture! This is a tasty, creamy option for anyone working on eating whole foods and wanting gluten-free/grain-free breakfasts and/or snacks. Other toppings: carob powder, pecans, blueberries, ginger, etc. Put the loose leaf tea (with steeper) or your bagged tea into a pot with the dairy-free milk, water and cardamom spice. Simmer on low for about 10 minutes. Watch until it bubbles and becomes a lovely brown color. Stir in the chia seeds. If you have a secure lid, consider shaking the mixture so it mixes well. Put in the fridge to gel overnight. Add your favorite toppings in the morning. Note: This recipe is not recommended for an Autoimmune Paleo (AIP) diet as it includes chia seeds which are not part of that plan.